The government's move to relax norms for start-ups will "unshackle angel investing" and unleash the next wave of entrepreneurship in the country, helping India further strengthen its position as a leading "start'up nation", according to industry experts. Giving major relief to budding entrepreneurs, the government Tuesday relaxed the definition of start-ups, and allowed them to avail of full angel tax concession on investments worth up to Rs 25 crore. Previously, a start-up was allowed to avail tax concession only if total investment, including funding from angel investors, did not exceed Rs 10 crore. According to Indian Angel Network co-founder Padmaja Ruparel, the development will "unshackle angel investing and bring in domestic monies for start-ups". "The message the government has given is that India will not only be the world's start-up hub but start-ups which can go global, by increasing the turnover from Rs 25 crore to Rs 100 crore. This is a seminal move for angel investing..." she said. The development also assumes significance as several start-ups had claimed to receive angel tax notices, impacting their businesses. Various start-ups had raised concerns on notices sent to them under Section 56(2)(viib) of the Income Tax Act, 1961, to pay taxes on angel funds received by them. "This eliminates a major obstacle for Indian start-ups and if implemented right, could give a significant boost to the Indian start-up ecosystem, as individuals with tax paid income as well as corporates will be able to easily participate in start-up investments," LocalCircles founder Sachin Taparia said. 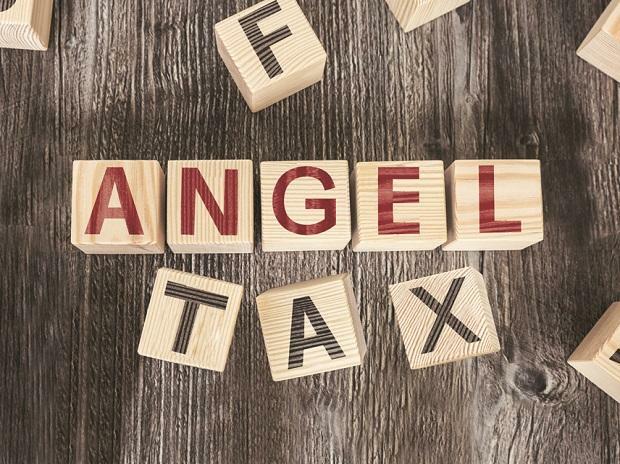 "I am absolutely delighted that the government has in effect abolished angel tax for startups... Angel tax had begun to dampen the enthusiasm of angel investors and startups, who had begun migrating abroad," TiE Delhi-NCR Chairman Emeritus Saurabh Srivastava said. He added that the announcement "will unleash the next wave of entrepreneurship, moving India from third place to being the number one start-up nation in the world". "This will transform India's economy, generate millions of jobs and solve India's pressing challenges in health care, education, agricultural productivity, clean energy and much more," he added. Archana Khosla, Founder Partner at law firm Vertices Partners, said the decision to relax the angel tax norms for start-ups is a welcome relief for the growing start-up ecosystem of the country. "By widening the vintage of operations from 7 to 10 years and expanding the turnover criteria to Rs 100 crore... it will extend the benefit to potential future unicorns, thus making the start-up ecosystem a significant part of the economy...these relaxations are synced in ethos and fabric with the government's aim to achieve ease of doing business in India," Khosla said. Venture Catalysts co-founder Anuj Golecha said some of these changes will work as major game changers for the start-up fraternity. "Earlier, there was a lot of redundancies, stretched timelines, and red-tapism due to the procedures, which will now be eliminated. This will further ensure a conducive environment and enable quick processes for budding entrepreneurs," he said. Golecha said these measures have widened the scope for start-ups and will ease investment in start-ups across the network. Vipul Sharma, co-founder and chief executive officer of fintech start-up Chqbook, said the quick resolution of the angel tax issue shows that India is committed to scaling India to become the top start-up investment destination globally. "Since most start-ups are focussed on using investment to scale, this is a welcome move and inspires confidence and will allow angels globally to evaluate Indian companies on merit rather than worrying about taxation and regulatory requirements," he added.